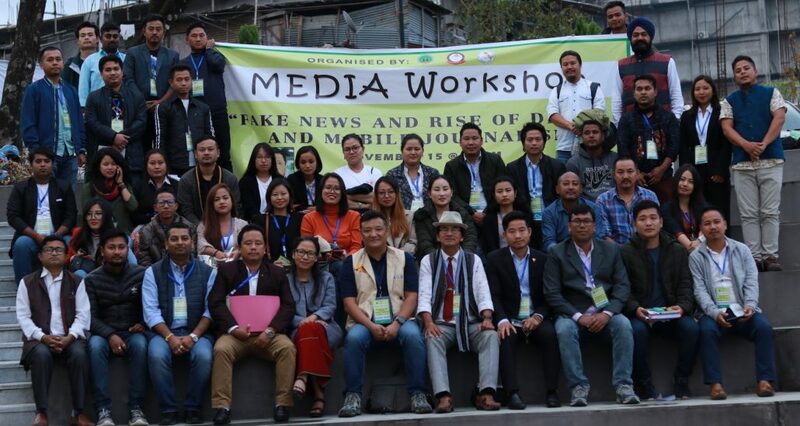 “The journalists of today’s era have to be the gatekeepers of the society; gatekeepers to protect it from the influence of fake and incorrect news,” said senior journalist, Karma Paljor in Itanagar of Arunachal Pradesh on Thursday. Paljor who was addressing a media workshop on the theme ‘Fake News and Rise of Digital and Mobile Journalism’ at the Dorjee Khandu Convention Centre in Itanagar said that, fake news has not only become a primary concern for the major countries of the world but also a big predicament for tech powerhouses like Google and Facebook. “As journalists we need to flag fake news and stand against it in a united way. Fake news stories are more tempting for the normal public to share so we have to play the gate-keeping role that the legacy media houses once played,” said Paljor who was the resource person for the workshop. Gate-keeping as a theory is the news selection and extraction of news, which then gets passed through a series of gates (the journalists), gets transformed and ends up in the news.